Project for goat raisers flips another year – PROCESS-BOHOL, Inc. Inspired by the results in Year 1, the Australian Centre for International Agricultural Research (ACIAR) approved the proposal of PROCESS-Bohol for a one-year project extension with a total grant of half-a-million pesos effective July this year. The reason behind this is to ensure the integration of improved technologies derived from ACIAR’s past and present researches in small livestock by bringing in technical people into the farm level. For ACIAR, the said project takes shelter under its Community Agricultural Technology Program (CATP) along with other projects in Misamis Oriental, Cebu, Bohol and some parts of northern Luzon. 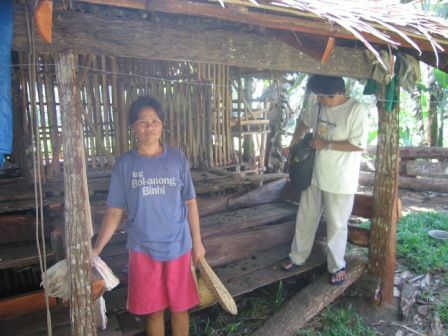 Results of the two consecutive action-learning cycles showed significant increase in family income among the 40 participating farm households in barangays Owac, Yanaya, and Villa Suerte in the town of Bilar, Bohol. Reports of the participants attending the Project Review Workshop held last June 14 and 19 have indicated an increased income of roughly 85% which is equivalent to P17,850 in just a matter of 6 months difference. For the period from January to July 2007, the combined sales of goats in Owac reached P14,750, compared to last year’s P7,000 only for the period from July to December 2006. In Yanaya, last year’s report was only about P6,000 in total sales. But during the workshop on June 19, the participants reported a total sales of P10,100. 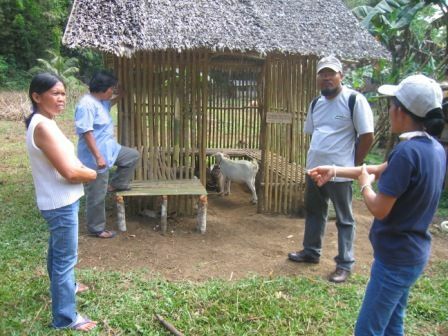 In Villa Suerte, the overall goat sales for the first six months of the project was only P8,000. In the next six months, however, sales totalled P14,000. This achievement could be attributed to valuable technologies and technical innovations applied in goat-raising. 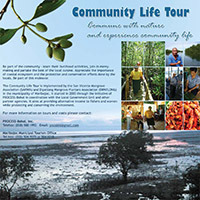 With the creation of the support system, the Office of the Provincial Veterinarian (OPV), the Central Visayas State College of Agriculture, Forestry and Technology (CVSCAFT) – Main Campus and the municipal LGU of Bilar actively provided technical and extension assistance to farmers on a regular basis. It has since been observed that 80% of the farmers now apply proper feeding, housing, waste management and use of cut feed as supplement during rainy periods. The Year 2 project has a new title in Improving Goat Health Management for Increased Income Project. Previously, it was called the Participatory Research and Extension on Animal Health Care (PREACH) Project. It aims to increase the income of 40 families by 20% by June 2008 in the same sites by improving their goat production practices adopted from ACIAR-sponsored researches. It will tap technical expertise from the Visayas State University in Baybay, Leyte and the Philippine Council for Agriculture, Forestry and Natural Resources Research and Development (PCARRD) based in Laguna.